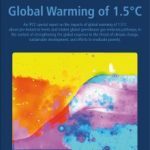 The publication of the IPCC’s latest report highlights just how serious a challenge climate change presents and how urgently we must act to have a chance of keeping global temperature rise below 1.5 degC. The decision of the Scottish Government to seek new advice on its climate change targets from the UK Committee on Climate Change is therefore to be welcomed. The advice that we submitted to the Scottish Parliament’s Environment, Climate Change and Land Reform Committee which is considering Scotland’s new Climate Change Bill is here: CCBill committee submission 0818. 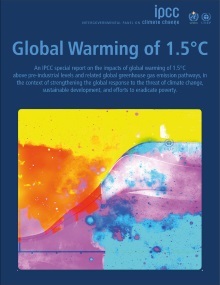 We argue that new targets must be set by climate science and climate justice, not what may seem more politically palatable or technically easier and also that communities of place have a particularly important role to play in bringing about the transformational changes required -but they need to be empowered and resourced to do so. How communities might become empowered and resourced to shape this transformation ties in with the theme of our Annual Gathering on 3rd/4th November: Politics as Though People and Planet Matter –Harnessing democracy for our communities’ future. We go on to urge that the new Bill should be used to provide a new vision for Scotland -of a just and equitable decarbonised Scotland focussed on wellbeing for all; that there is an urgent need for a new political narrative which reframes discussion of emission reductions, away from the current negative narrative of loss (and a focus on what we will need to give up), to one focussed on the exciting (albeit brief window of) opportunity that we have at this moment in human history to rethink the purpose of our economy and to empower people to fulfil their natural desire to build the thriving, caring, resilient communities that are central to our individual wellbeing. Clarity of purpose and avoidance of mixed messages on the part of Scottish Government will be essential. ← Previous Previous post: Join us at our annual national gathering and networking event! Next → Next post: Why care about local democracy?